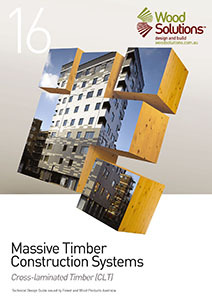 This guide discusses CLT, one of the frequently used massive timber building systems. The guide’s intention is to introduce CLT, providing general product and performance information, design consideration and building processes. The guide is not a design manual, for more detailed design information refer to producers or suppliers of CLT.